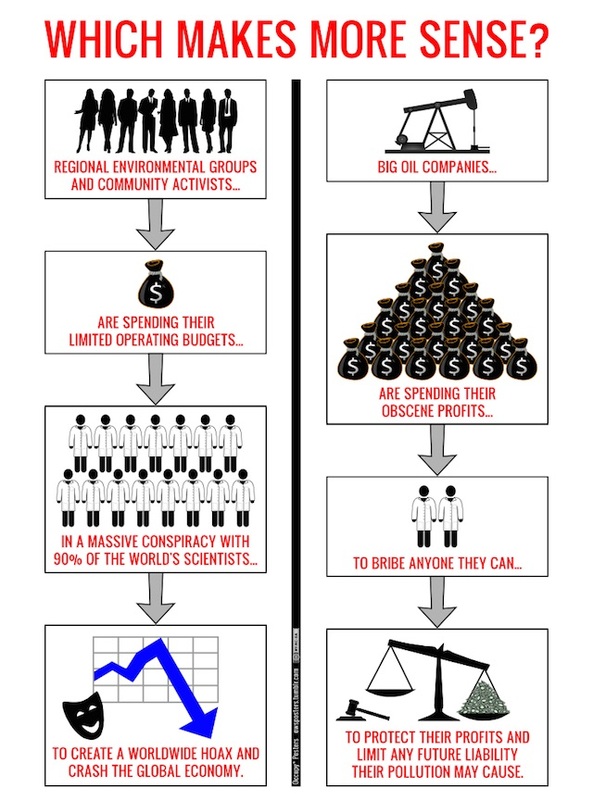 Climate Reality or Climate Denial: Which Makes More Sense? We spotted this poster image from Occupy Posters asking the question Which makes more sense? Climate denial clings hard and fast to the notion of a grand conspiracy of environmentalists and virtually all of the world’s climate scientists to fool everyone else into believing the global warming is real. But does that really seem like the most plausible scenario in a world of melting ice, rising seas and more extreme weather. Or could there be someone trying to confuse the public on a difficult and complex issue? Who is trying to fool whom? I wonder.